We're huge fans of a good makeup set. They're perfect for travel because they take up a fraction of the space in your bag, they're a bargain versus buying the products separately, and they're great for rushed mornings when you want to look polished. 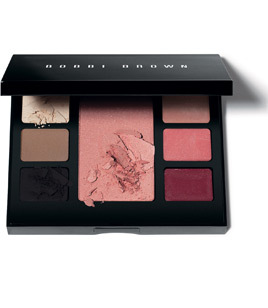 We've bought a handful of Bobbi Brown's palettes in the past and her new Antigua is on our list. It's a combination of soft taupes for your eyes and pinky browns for your cheeks and lips which are designed to give you a glow as if you've been at the beach. Free shipping and a sample of the Party mascara from her website. Price is $55.